Ok, so 6 months have gone by and I have had the opportunity to visit and walk the renovated Caminito del Rey three times. Yes, it is still an amazing place to visit and explore but in the same sense it has lost a lot of it’s appeal for the adrenalin junkies, climbers (and even people like myself that aren’t as radical…. 🙂 ) What’s gone wrong? Well, the usual lack of forethought and organisation that I am used to after nearly 20 years living in Spain. Firstly, the online booking system and official website for the Caminito del Rey is obviously not updated as it should be for an attraction that will exceed 100,000 visitors in it’s first six months. The booking calendar (as of todays date) is still showing the months of June and July even though we are halfway through August. the bookings system for October is still not available and news on the site is already outdated when it gets published…. You have to look closely at the image banners on the site. They rotate, and the first one has some text on it with a notice like “closed because of high wind” or some other reason. If you don’t see that image as it rotates then you won’t know the Caminito is closed on the day you are going to visit!… As the booking system collects your email address it would be easy enough to set up an auto email system if there are any important notifications… No contact phone number and people complaining that emails are not answered are also big issues. There is no doubt that the Caminito is a good thing for the local economy but a dedicated staff controlling bookings and some staff training sessions are definitely needed. 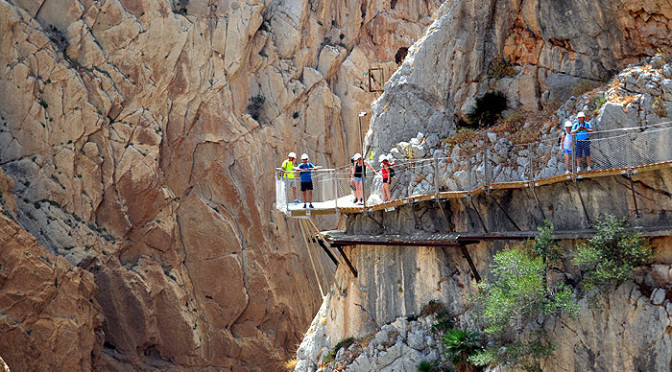 Get your permits for the Caminito del Rey here. As a response to Clive´s article: For sure there might be some things to improve, but talking about corruption because of the fact that local businesses can offer there guests permits for the Caminito del Rey , I consider somewhat harsch. Basically, I think that´s a good way to bring some local economy back on their feet, as long at it´s played fair. Some friends and myself run a travel-organisation and we have used one of the local entrepreneurs to get permit for our group. For us totally non-profit, as it was as well a pilot-activity (fam-trip). For future participating guests, it should always be clear that the caminito itself is free, but for example taking them there (transport), a companion-guide and food & beverage has a price-tag……….but should be reasonable of course. 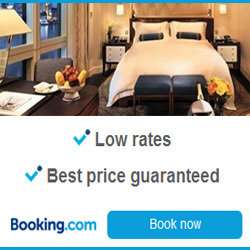 Just keep an eye on the established leading tour-operators…..they might have a tendency to get big-cash out of it. That should be monitored carefully! There is no doubt that the local economy has benefited greatly with the opening of the Caminito del Rey. (including my own online businesses). It is the lack of planning for a sustainable business model that is a real issue here… With an estimated overhead of 500,000 euros a year and a projected income of 300,000 a year what private business is going to take on the running of the Caminito at a loss? Secondly, and this is an even bigger issue, is the national law of public access to public areas(even though the caminito is/was a private venture since it was first built). As of now it is illegal in Spain to charge for entry to public/protected natural areas. If this law is changed then it does leave some questions and doubts… Will the national and natural parks of Spain then be able to charge for the people to walk in the mountains..? We are in Spain and a law of this magnitude which goes to the roots of the constitution (freedom of access for the people of Spain) will be very difficult to change. I would be very surprised if it gets done by March when the Caminito plans to start charging 6 euros to enter… The outcome may well be for the foreseaable future that the Malaga council will have to keep running the Caminito at a huge financial loss whilst the local businesses flourish on the backs of something being paid for by taxpayers money…. Interesting isn’t it? Of course you made a very good point there! As well I have my doubts regarding the intention of charging people for the entrance. Considering the expenses (public) I hope they do find a solution to this soon; me too, I fear that´s going to be complicated, as there´s generally (read: national level) a lack of competence….it´s like there´s never a business-case/-plan sorted out, before starting a project.